You will receive $ 3.000 pesos discount at your general ticket office. 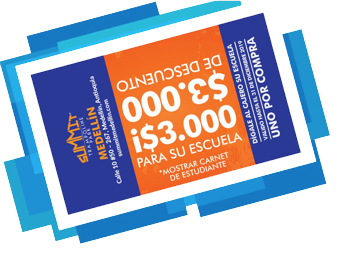 Accumulate $ 3.000 pesos for each student who presents the school discount card of Summit Trampoline Park Medellín. This money will be cumulative and the school can redeem it at Summit Trampoline Park Medellín at the time of booking an event for your school. 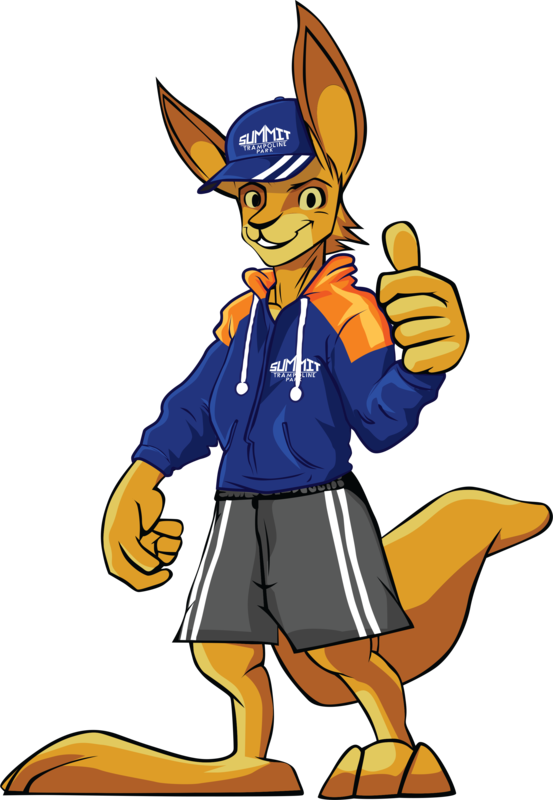 (Eg If 40 students redeem the discount card the school would have accumulated $ 120.000 pesos that can be used as a discount in one of our school event offers) This offer is not redeemable for cash and is not valid with other offers. 4 hours of the event (30 mins of registration, 3 hours of attractions and 30 minutes for food consumption) 2 pizza servings per package person. Cleaning and coordination of the event. Security measures of mandatory use, with an additional cost of $6.000. Optional private room, with capacity for 30-40 people, is rented for the time of the event ($160.000 x 2 hours – $240.000 x 3 hours). It is required to sign the exemption of responsibility for the entrance (parents must sign the exemption to minors and each independent adult). Obligatory use of security socks in the jump zone (additional cost of $ 6,000 pesos). It is recommended to reserve at least one week before the event. Events that are requested will be subject to space availability. The entry of food into the park is prohibited. The park has a cafeteria where you can buy food. The event starts at the contracted time, if the organizer’s delay does not start at the time, the time will not be replenished. The event ends at the agreed time. It is clarified that the events with pizza last 3 or 4 hours according to the reserved offer, but access to the zones is 2 hours or 3 hours. The first half hour is for the registration and the final half hour will be taken for the consumption of the pizza. Events with only water last 2 hours or 3 hours according to the reserved offer, but access to the zones is 1.5 hours or 2.5 hours. The first half hour is for the registration of the participants. The package will not change price if it is removed water bottles, host, etc. The purchased package can not be altered by fewer people than agreed. The bracelet includes the basic attractions but the participant is subject to restrictions (size, weight, age) that have some attractions. The waiting time in all the attractions is subject to the flow of people that exist in them. To make the reservation valid it is necessary to make a payment of $ 145.000 pesos. Our cancellation clauses for reimbursement must be with a maximum of 6 days before the activity, if the cancellation is made 5,4,3,2,1 or the same day of the activity there will be no refund of money.